Madison, we are what we do. I am running for mayor because this challenging political moment asks each of us--even a political outsider like me--to do all we can to make our city work for everyone. We can make room for everyone who wants to live in our city, and grow in an equitable, sustainable way through our Green Growth Agenda. 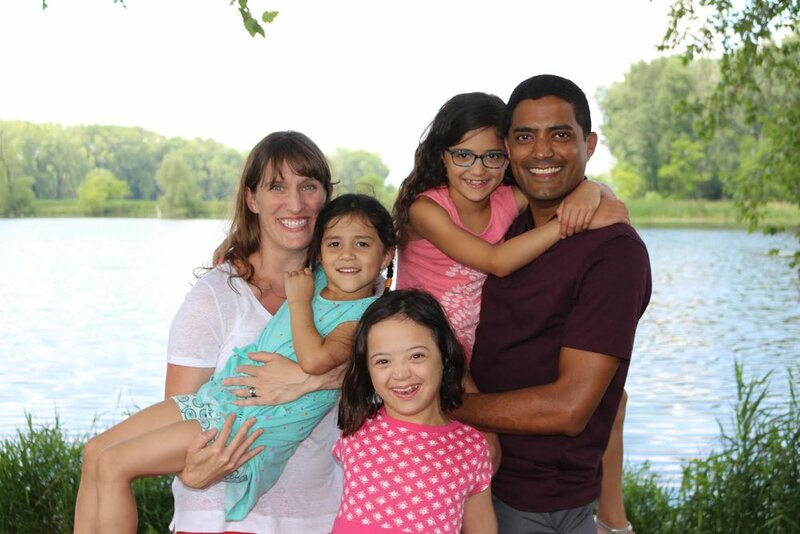 My wife and I want a fair, healthy, and diverse city for our three young daughters. Social justice is far more than just an ideal for us, and it is the foundation for a strong community. My parents are immigrants who showed me that you can achieve anything through hard work and a supportive community. I am running to become the first Indian American mayor in any of the top-100 US cities. But this campaign is not about making history. It is about all of us creating the future we deserve. I’m ready to lead a transition to 100% clean energy for our city. I am committed to equity as a moral duty. And like so many of our Madison neighbors, I know safe, vibrant neighborhoods inspire the best in all of us. Let’s move forward with ambition, creativity, and common purpose. With your support, we will. Raj began his career in community and economic development—attracting private investment and jobs to some of the poorest neighborhoods in Milwaukee. He went on to work with high school students and teach them the science of climate change with Al Gore's Climate Reality Project. Raj then joined a Madison-based social enterprise, Cool Choices, and developed software to help businesses and employees cut costs and carbon emissions. Raj bikes year-round to get to work as executive director of a state-wide water policy agency. He chairs the Sustainable Madison Committee which leads the work to become the first Wisconsin city to use 100% renewable energy. When Hurricane Katrina devastated New Orleans, Raj signed up as a disaster relief volunteer with the Red Cross. He delivered clean water and meals to communities shattered by the storm. Now he tackles challenges closer to home as a member of the Rotary Club of Madison. And he has served as a Court Appointed Special Advocate for children in the Dane County foster care system. Raj and his wife made Madison their home in 2006. Their three young daughters attend Madison public schools. He’s a UW graduate and a die-hard Badger. So are his wife, his two sisters before him, and two nephews today.